Calder: Sculptor of Air chronicles the life and work of Alexander Calder (1898–1976), a unique modern artist who revolutionized the art of sculpture by freeing it from its pedestal and adding movement. His groundbreaking kinetic sculptures are regarded as being among the first works that challenged the idea that art must be a static object. A contemporary and friend of Duchamp, Miro, and Mondrian, all of whom greatly influenced his evolution, Calder skyrocketed to fame in the 1930s with his wire mobiles, an innovation he dubbed "drawing in space." 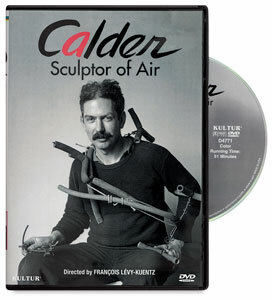 The film also addresses Calder's monumental "stabile" sculptures and other masterworks of the prolific "genius tinkerer."